[i am a dekaphobic]: Oh, Salad Mamas! As I get older, I became more conscious of my health. Moreover, having gained a lot of weight the past year has made me realize that I should maintain a certain balance by eating healthy food whenever I get a chance. I have lessened my sugar intake (I use Stevia most of the time), and try to eat more fruits and veggies. 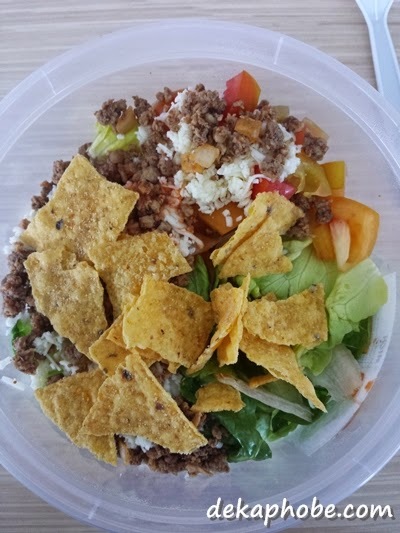 The Taco Salad has iceberg lettuce with tomatoes, onions, seasoned ground beef with crushed tortilla chips and taco dressing. I loved their version of taco salad. The taco dressing was amazingly delicious! The Beef and Walnut in Honey Balsamic was generously topped with beef strips, walnuts, tomatoes and alfalfa sprouts. The honey balsamic dressing was too sour for my tastebuds, but it would do if I didn't pour all the dressing in the salad. 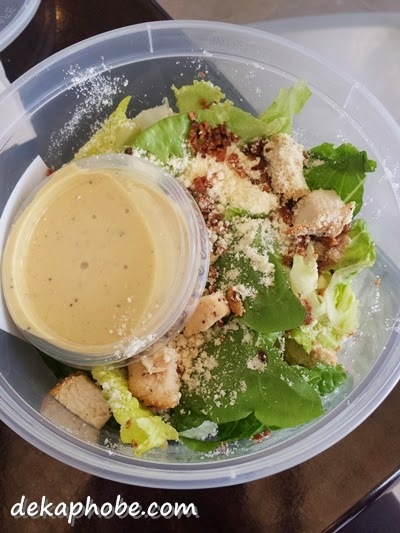 What I call my comfort salad, the Classic Caesar Salad has lettuce, chicken breast fillets, bacon, croutons and parmesan cheese with their caesar dressing. Loved this salad as well. A Filipino salad, the Tinapa and Kesong Puti with Calamansi Olive Oil Dressing has salted eggs, tinapa flakes, kesong puti on lettuce. I liked the touch of salted eggs and kesong puti. It feels like eating a Filipino breakfast on a salad. 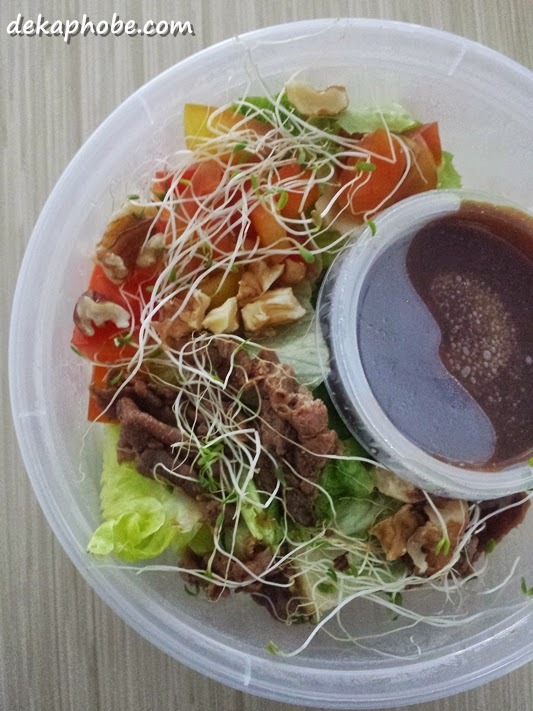 All salads are priced at Php 120 and are placed in a reusable container (yay!). 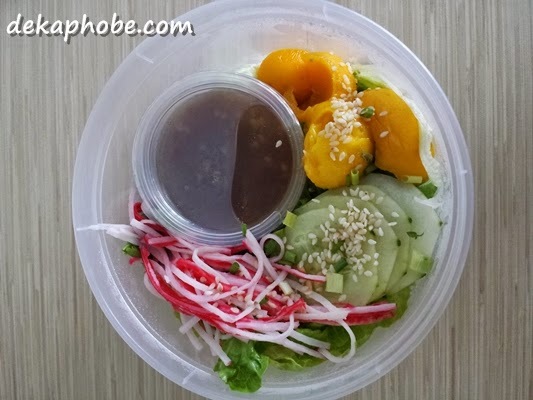 The salads are very affordable and the servings are enough to fill your tummies. 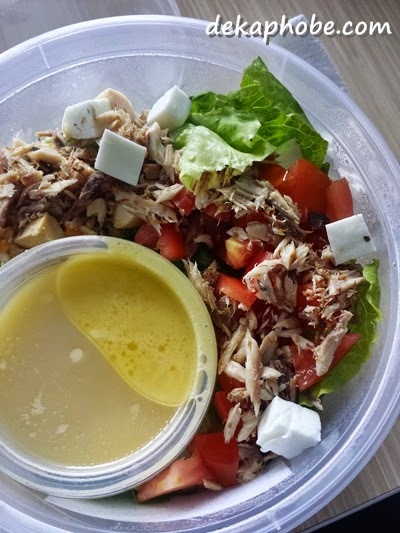 I can't wait to have my salad lunches from Salad Mamas again. 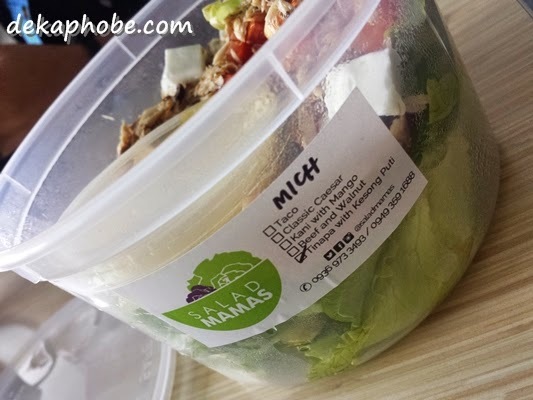 Salad Mamas are currently delivering in Loyola Heights area in Katipunan and Ortigas area (RBC and Meralco area). Order at least one day in advance to ensure delivery. Watch out for their new delivery areas soon! The price of the salad is not bad ah. To think generous serving pa in a reusable container. Keep it up and may you stay healthy, young and beautiful! I wish may ganyan near me! The salads look sooooo good they're making me hungry at this hour. Yes, I tried my best to do homemade salads almost daily, but my schedule can't keep up. I love all the salad that you ordered! Too bad they do not deliver to my area, yet. It is nice that you are trying to make a committed effort to stay healthy and fit at such a young age. Ippudo Opens in Manila on September 10! Genji M's Special Lunch Promo!